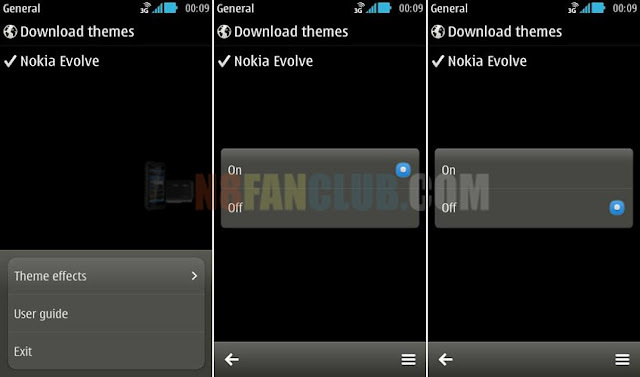 Belle FP2 firmware for Nokia 808 PureView, 701, 603 and 700 does not have toggle switch for Theme effects. They are enabled by default on Belle FP2 smartphones. This mod will help you to enable the toggle switch for theme effects, so that you can turn it on and off according to your choice. This mod will only work by cooking the files into the firmware or in simple words you will have to modify the firmware files by adding up the modded files and re-flash your device with Phoenix. 2) Put the extracted files / folders either in ROFS2 or ROFS3 firmware file with Nokia Cooker on your Windows PC. This entry was posted in Mods for 808 on by Admin.